Today’s morning trip was a hiking trail along Sardinia Bay. Drei Stunden Morgen- und Mittagwanderung entlang Sardinia Bay. 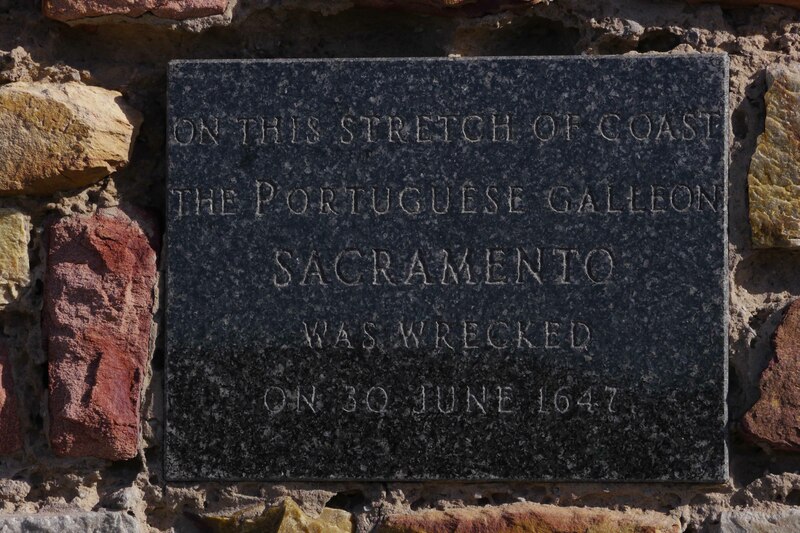 Near Sardinia Bay in 1647 the Portugese Galleon Sacramento shipwrecked in a storm. An der Sardinia Bay erlitt 1647 die Portguisische Galleone Sacramento Schiffbruch.